There are a number of online casino games other than slots which offer you the chance of winning a huge progressive jackpot, there are for example a couple of Progressive Video Poker games which are available in the online environment that give you the chance of winning a progressive jackpot, however should you be one of the many millions of casino game players who enjoy playing Roulette then you will possibly be interested in the Roulette Royale game from Microgaming. The Roulette Royale game is a progressive Roulette game on which a life changing jackpot can be won when you are playing it, however you will need to know just what is required to have any chance of winning the current progressive jackpot, and below we have a complete guide which will show you all there is to know about this great playing progressive Roulette game! 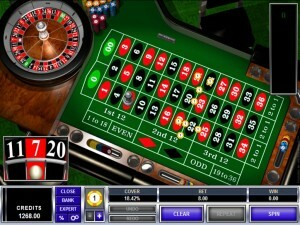 The Roulette Royale game which is found in selected Microgaming powered casinos is networked and as such whenever you play it at any casino offering the game a proportion of you bonus bet staked amount is used to feed the progressive jackpot, which can be won at any casino that has the game on offer. 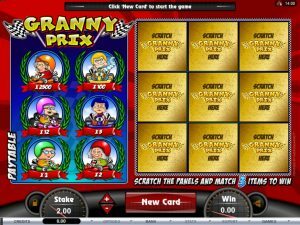 As this game offers players the chance of winning an instantly awarded progressive jackpot there are some subtle differences in regards to the way the game plays and pays, so do have a good look through the following step by step playing guide to ensure you know what is required if you do fancy giving it a whirl online! Single Zero Game – The actual base game that is used on Microgaming’s Roulette Royale game is the single zero variant, which means when you are playing the base game part of the game the house edge is a low one and works out at just 2.70%, which is considerably lower than the double zero variants offered at a lot of other casino sites! Chip Value Settings – You are able to fully adjust and place bets of any value on all of the betting locations displayed on the betting layout. However, there is a minimum stake per location and this is 1.00. All Microgaming powered sites allow players to set their own preferred base currency as the one used on their casino account so that 1.00 wager can be UK Pounds Sterling, Dollars or Euros or any one of several other currency options. 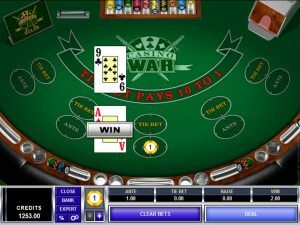 Obligatory Jackpot Side Bet – One very important aspect of playing the Roulette Royale game that you need to be fully aware of is that you are unable to play this game without having first placed an obligatory 1.00 Jackpot Side Bet. This bet is going to cost you an additional 1.00 and once placed a range of bonus payouts can and will be awarded to you as per the Bonus Bets Payout Schedule listed below. Once you have chosen just which numbers and/or number groupings you wish to place a bet on and have also additionally placed the Jackpot Side Bet you can then click on the Spin button and the Roulette Ball will be released and set into live play. 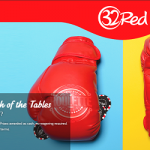 The Jackpot Side Bet will activate a standalone set of bonus winning payouts which will be awarded to you whenever one number has spun in on the base game at least two times on the trot. Be aware that you do not have to have placed a bet on the number that spins in consecutively to receive the bonus payouts, for this aspect of the game is covered by your 1.00 Jackpot Side Bet! If one single number spins in two times consecutively as you are playing the base game then you are going to be awarded a winning payout which is worth 15.00. It doesn’t matter which number it is nor does it matter if it is the zero that spins in two times on the trot as long as the same number (0 to 36) spins in consecutively you will be awarded that 15.00 winning bonus payout. You will then be hoping that the same number spins in three times on the trot for if you then spin the wheel and the very same number spins in then you will win another bonus payout, this time for the third time consecutively that an single number spins in you will be awarded instantly a payout worth 200.00. Should one single number then spin in four times consecutively you will be awarded a bonus payout which is worth a whopping 3000.00, and finally the game will move onto the most exciting part of the bonus game pay table and this is where you will be hoping that number then spins in one more time. If any single number spins in five times on the trot then you will be awarded the entire value of the progressive jackpot which is displayed on the jackpot meter. Whilst the odds of one number spinning in five times consecutively are huge, it will happen sometime and if you are the lucky player it happens too then a large instant progressive jackpot payout will be yours. The benefit of playing any Microgaming progressive game is that when a player manages to win a progressive jackpot of any value, then that player will receive the entire jackpot in one lump sum and it will be paid out to them quickly! 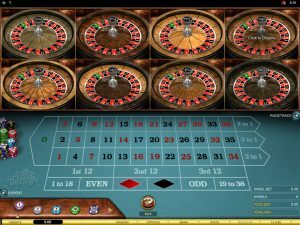 Whilst there is the progressive jackpot always on offer when playing this Roulette Royal game online, thanks to the additional winning payouts which are activated for your Jackpot Side Bet stake, you could win some quite sizable winning payouts whenever one single number spins in consecutively. You do however need to factor into your betting budget that additional 1.00 Jackpot Side Bet, and as such we would suggest you adjust your base game bets accordingly so as that obligatory side bet does not diminish your playing budget and bankroll too quickly!